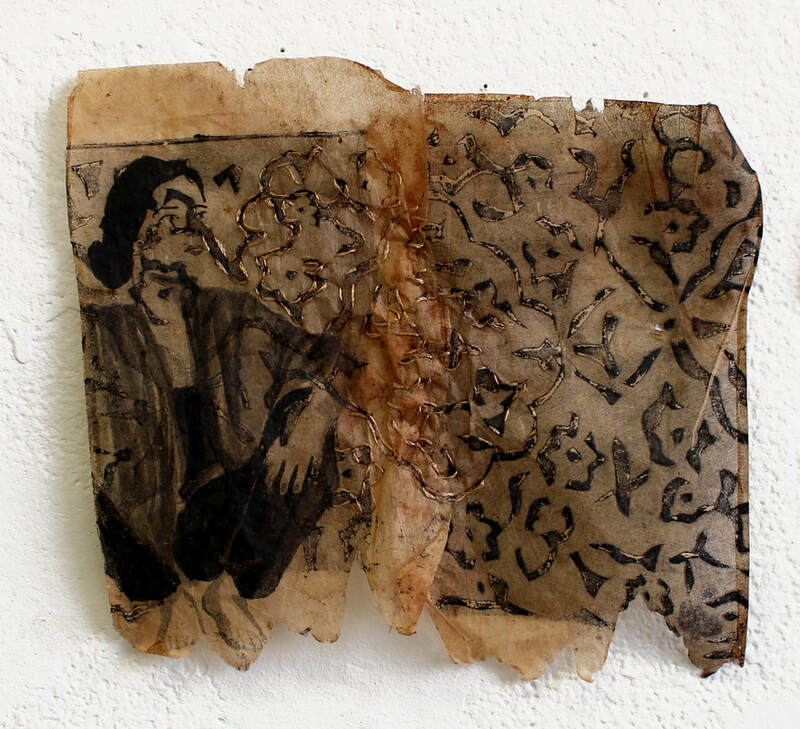 Hawaii based, mixed media artist, Nisha Pinjani explores mental, emotional and physical boundaries laid upon women in her hometown of Karachi through experimental printmaking. 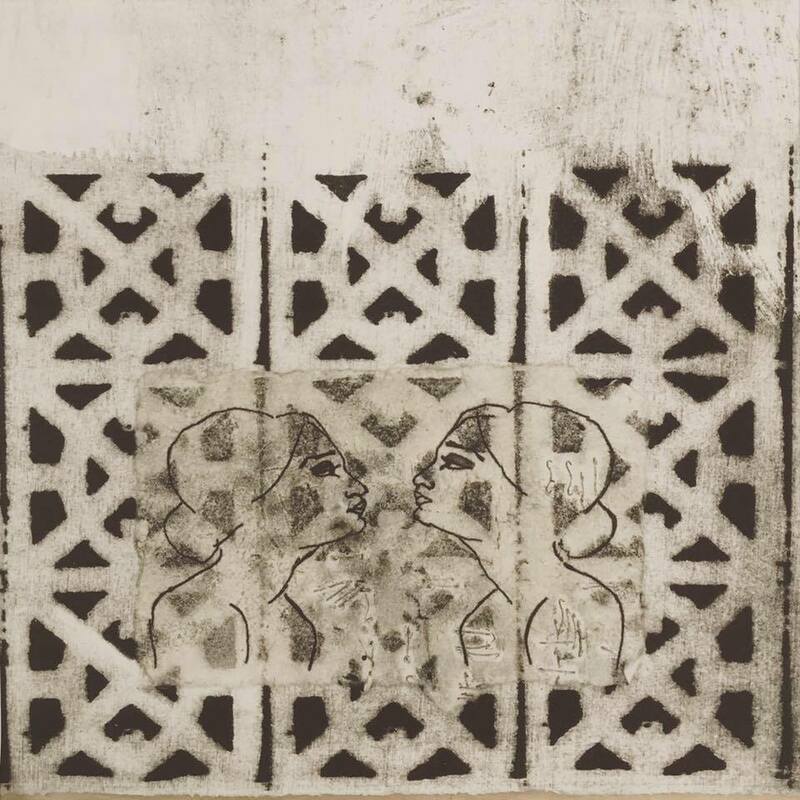 Her process includes overlapping collograph prints with sewing, weaving, and even stapling, to open up a dialogue that mirrors the restrictions women experience. 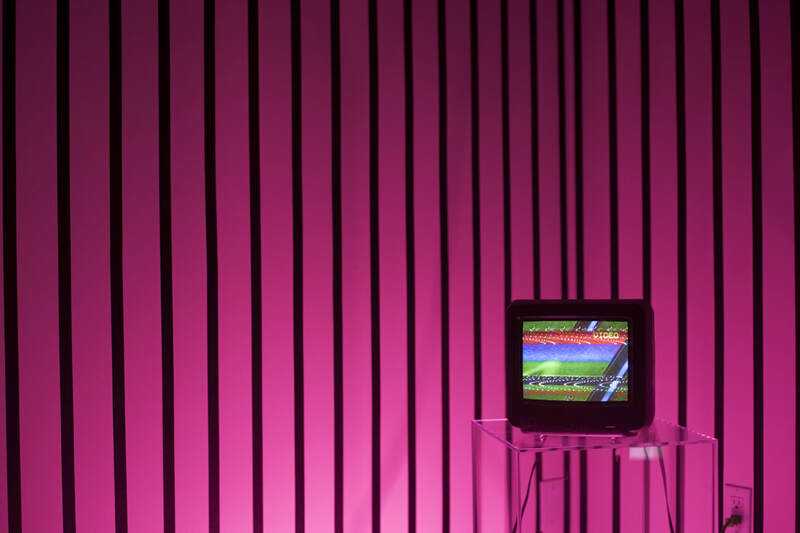 What kind of research is necessary to create the art that you do? My research is based on the mobility of women, specifically in public spaces in urban centers of South Asia. With my work, I map the intersections of my identity; the physical and psychological boundaries I encounter when navigating my home city, Karachi. My work largely draws upon analysing gender politics within the inside/outside, public/private, home/market, etc. Thus, my research revolves around trying to understand the relationship between gender, space and place. I focus on reading works from urban planners, sociologists, and literature focusing on South Asia, to understand how a space informs women’s behaviour or how women influence a place. ​As a Pakistani artist, talking about the gendered spatialization of places in the United States, a lot of my research is also focused on the representation of South Asian women, particularly Muslim. Does your interest in women and mobility stem from personal experience? Enjoying public space is something women all over the world have to think about to some degree; this is so normalized that we do not even question it. Having lived in one city all my life, when I moved to the opposite part of the world, I got the distance and opportunity to analyse my bodily presence in domestic and public spaces in Karachi. I realized that I had all these imagined boundaries surrounding me; boundaries that are not physical walls, but instead are experiences, constituted for myself because of my gender, is what motivated me to revisit Karachi through my art practice. My work is an attempt to understand the inside and outside boundaries of my home, while also thinking about the different ways I, and the women around me, negotiate, fight, and work around the many limitations. This is also something I hope to highlight within my work; the labor of women at home, and outside, along with women in the media. Paying attention to how and why the stereotype of the Muslim woman is in need of liberation is so active in our media, art and literature today; analysing this status of South Asian women, the combination of their bodily presence, the issues of visibility, veiling, and mobility is what I am exploring. Untitled // Mapping Home series // 16 x 16"
"I realized that I had all these imagined boundaries... boundaries that are not physical walls, but instead, experiences constituted for me because of my gender, is what motivated me to revisit Karachi through my art practice." What are the limitations women are experiencing in Karachi, or elsewhere, that you have discovered through your work? ​In many South Asian societies, women’s mobility is heavily policed under the guise of their own “safety”. The simple act of loitering is one of rebellion. Restrictions are placed on women not only by society, but by their loved ones and often, unknowingly, on themselves. The fear of being out in a public space is deeply engraved in women; they receive the message that it is their own responsibility to stay safe by avoiding risks. ​These fears are not baseless. Indeed there is real violence that takes place in many urban South Asian cities, including Karachi. Many women use strategies such as wearing headphones or a chador (veil) to set boundaries between the body and public space. A veil by many sociologists is also coined as “portable seclusion,” a way to create private space within public space. Restrictions include using public space to get from point A to B, or only going out at certain times, or setting up physical boundaries such as your clothes, having an alert body posture, traveling in groups, or using various applications to stay connected with friends when feeling unsafe in public space. The idea of segregation when using public transport is also heavily debated; deemed as regressive by some, and necessary for safety by others. Many South Asian sociologists and urban planners argue that fighting for women’s safety is limiting and only results in increased surveillance of women in public spaces. Research says that the focus should be on how to make public space more accessible. The importance of better designed cities, street lights, public restrooms, as keys to more access to public spaces, as opposed to instilling perpetual fear of impending danger if women dare to cross their boundaries. Untitled // Boundaries series // 12 x 26"
Tell me about your use of dark and heavy handed strokes in Boundaries. What was the process of creating this body of work? How did you decide on the medium and composition? Boundaries is an ongoing project. I have two exhibits that I worked on while exploring this theme of the inside and outside boundaries of homes in Karachi. 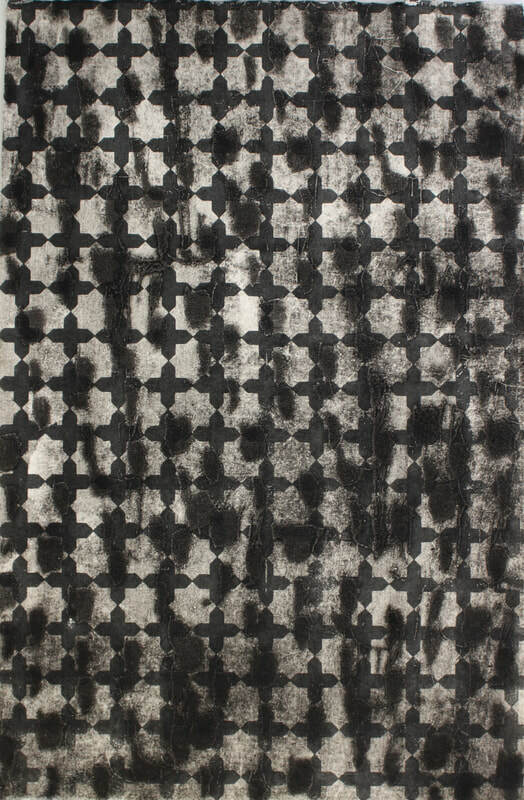 The patterns within these works are a reference to the Islamic geometry, or the colonial patterns one finds on balconies, windows and doors of buildings around the city. I see that these patterns represent the institutional patriarchy ever present in society. A lot of my prints in this series have large, heavy and bold patterns that are from balconies and doors of the neighbourhood I lived in. Within these overbearingly present and broken patterns, I create silent spaces. These silent spaces with gold embroidery represent visibility or agency that women have created for themselves. I wanted the patterns to be dark and heavy, so that the viewer can experience the weight of the patterned borders alongside the lightness of a white background with gold embroidery. ​My prints are made through collagraphing, a printmaking method where I use various materials to make a collage on wood, ink the plate and print it. This method is very important to my work because it allows me to use several materials and a variety of methods to create depth and multiple layers and readings for a print. This medium evokes a feeling of heaviness, and rawness. 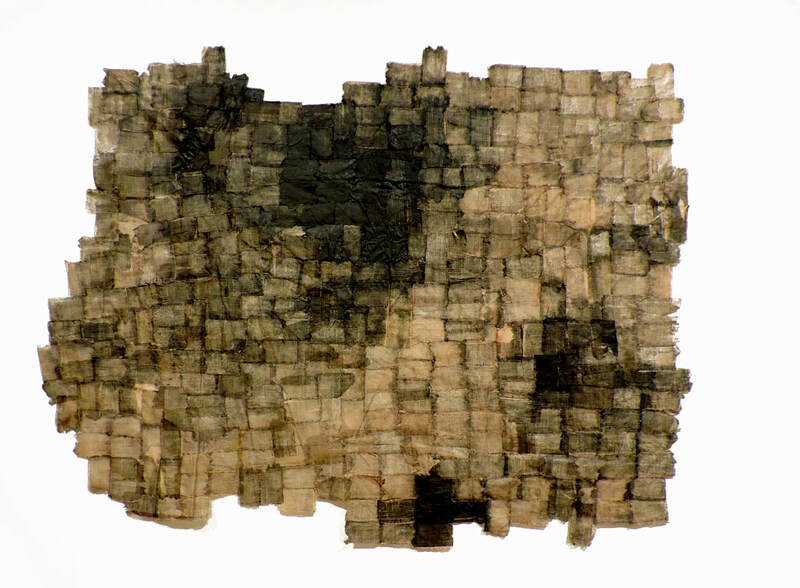 Materials, such as loosely woven fabric, is embedded into the paper too. With this method, my work becomes more experiential, creating multiple interpretations. ​​I had two very different experiences when creating this work. One was weaving cloth for the collagraphs and stitching on top of collagraph prints. This process was meant to explore the various ways women negotiate the circumstances they are in, and challenge societal norms, while constantly mending their own lives. Using these textile process, which are considered to be feminine or domestic crafts, was a way to bring attention to the invisible labor of women in domestic and public space. The process of weaving and embroidery itself was very quiet and meditative. While stapling and hammering on wood was aggressive and loud, and the process was a reminder that transgressing from the rules of the society is often a dangerous and violent process. "The simple act of loitering is one of rebellion." Your use of nails and staples suggest a crude reality and still, the minimalism of each composition is very soft and inviting. Tell me a bit about your decision to include hardware in your art. I started my first project doing patchwork, weaving, and embroidery as a way to talk about mending my own life. Staples and needles were an extension of exploring the same concept while thinking about how to evoke a feeling of harsh realities. Stapling, visually looks like stitches and much like stitches, they holds things together. In this case, they were holding down fragments of Karachi. The staples also reminded me of the surgical stapling of wounds, and was a way to reference the body, wounded but healing. The process of stapling on my work is very aggressive and loud. It was kind of a reminder that the process of mending or transgressing boundaries is painful and difficult. ​What is the significance of leaving your pieces untitled? ​I personally enjoy experiencing work without the titles and artist statements. I want the work to tell its own narrative and for the viewer to not be limited to one interpretation. I am also reluctant to add a title to my work if the process is purely superficial, or an afterthought and not from the making of the work. 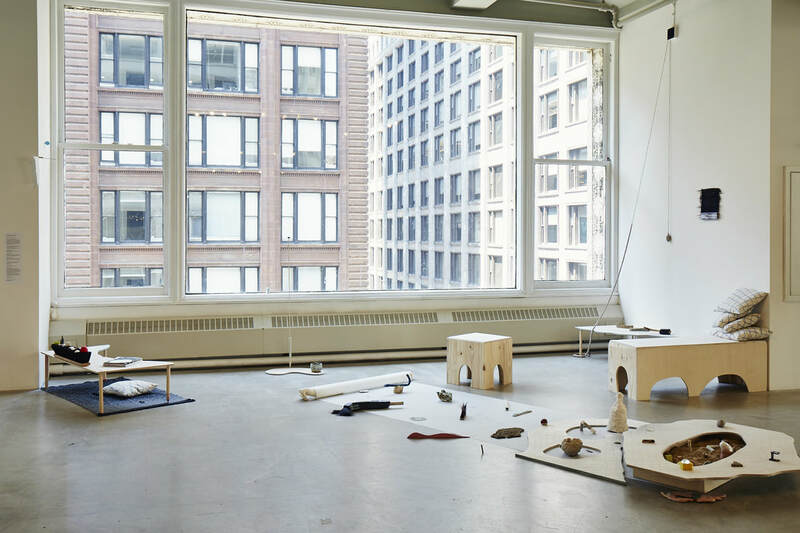 However, having recently exhibited my works with the label “untitled” has also been visually jarring, and I have been thinking about how to negotiate that when I exhibit my work again. While you explore space and geometry in Mapping Home, which specific sites are your mapping? Are they purely from memory? This series came from a very personal and nostalgic space of hoping to re-experience home by mapping from memory the neighbourhood I grew up in. It was an attempt to bring out the character of my neighbourhood in Saddar, the hub of the city. For this series I used materials and processes that I felt brought out the experience of Saddar and the layers of its history. ​I printed on used tea bags because tea is such an important part of the Karachi culture and a big part of who I am, and how I socialise, just like many others from the city. Tea was introduced to South Asia through its history with colonisation, and became a part of the identity of the country. The heritage in the architecture from the colonial era is also an integral part of its identity. The kind of complex history of a place is something I wanted to highlight with the project through using tea as a medium. I also did Kantha embroidery, which is to patch tea bags together. Kantha embroidery and Ralli quilts are traditional to Sindh, the province Karachi belongs to. This kind of quilting is traditionally done with recycled or used fabrics. For me, this represented the spirit of mending and making something beautiful out of nothing. Quilting tea bags was my way of bringing out the spirit of the city and its people. Untitled // Sutured Patterns series // 15 x 20"
"This process was meant to explore the various ways women negotiate the circumstances they are in, and challenge societal norms, while constantly mending their own lives." Untitled // Boundaries series // 7 x 10"
What are you imagining for the future of Karachi? Mapping home was a way to bring out the rich and complicated history of Karachi. It represented what I hope is or can be the spirit of the city, which is accepting and celebrating its diversity. A city that embraces its history, that will move forward, heal itself, mend itself, and be safe. Karachi is my home, it is part of my identity, and I hope to engage and work in it, and make work about it. What is your experience like in grad school? I am currently working on series with the working title Transgressing Boundaries. This series deals with home, domesticity and gender. I am planning to make several prints that will be in conversation with each other. All the works will be made on paper and fabric, and will involve printing with wood cut, using the collagraph method, along with stitching and weaving. With this series I hoping to explore the body as a home and container of the self, as well as deconstruct the meaning of the house it resides in. I want to narrate my experiences through patterns, space, time and body. By photographing my body and drawing and retracing my figure, I want to have a conversation with the figures in my prints and give the character in my work agency to tell its own story. The multiplication of the figure, and showing it as active, is another way of showing autonomy of the character and a way to humanise the idea of “South Asian” or “Muslim” woman, by integrating the body with home created by various material constructions and patterns, I want to invite the viewer to experience home as not just a place of dwelling, but one where gender is performed and constructed. The project is still at its early stages, and I am hoping to build up a narrative from my experiences, as I continue to make the work. detail of Untitled // Boundaries series // 50 x 20"
"While stapling and hammering on wood was aggressive and loud, the process was a reminder that transgressing from the rules of society is often a dangerous and violent process." Untitled // Sutured Patterns series // 12 x 12"
I personally connect with the kind of art that speaks through its materials. 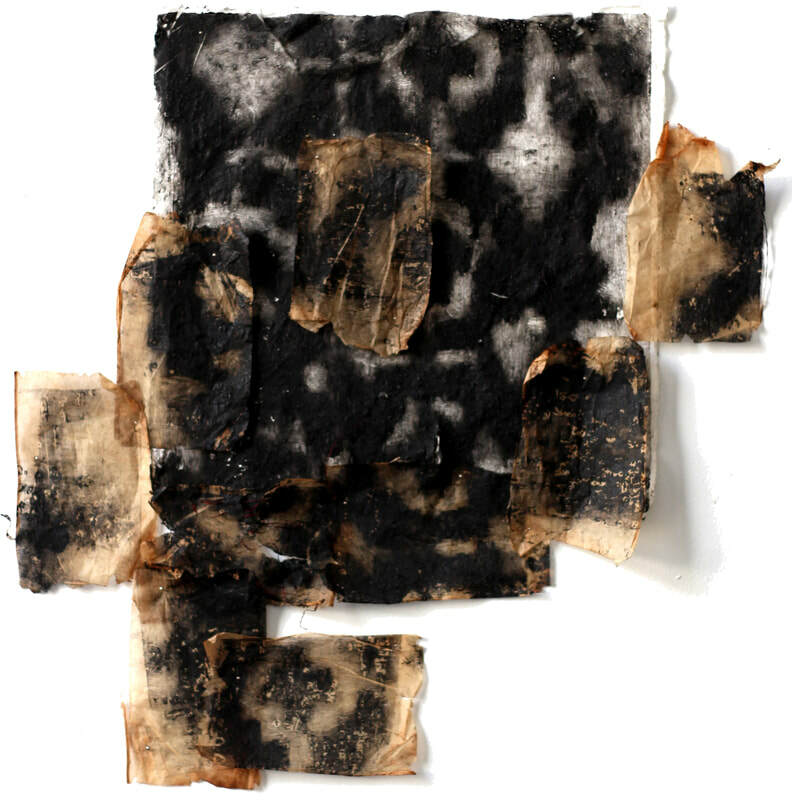 I am inspired by artists such as Vibha Galhotra, Bharti Kher, Sheela Gowda for their engagement with material. The way they use found objects to address different ideas in many different ways. I also like to constantly update myself on other contemporary artists who delve into issues of gender, identity and politics. I particularly follow works of artists such as Shirin Neshat, ﻿Nazia Khan﻿, Hayv Kahraman. You mentioned that you read papers by urban planners and sociologists, and literature focusing on South Asia; do you have any recommendations? ​I reference, or look for answers and/or understanding of, why and how, "third world women" are viewed in the larger global world. Can the Subaltern Speak, by Gayatri Spivak, is one of the articles I keep rereading and trying to understand. Her lectures, and specifically this article, is very useful when thinking about how the third world subject is analyzed in academia. Lila Abu-Lughod's book called Do Muslim Women Really Need Saving, is an important read when thinking about modern day imperial feminism, where Muslim women have become stereotypes or categories, and singular symbols over oppression which wars are being fought over. I am currently reading Under Western Eyes by Chandra Mohanty, who analyses writings and research of several academic writers publishing in the west, also analyzing feminist struggles in developing countries, and addressing the pattern of homogenizing women and talks about its implications. I started thinking about the gendering of spaces after coming across the authors Sarawasti Raju, and activist and writer Shilpa Phadke. While Raju addresses the gendered hierarchy in places in her book Gendered Geographies, Phadke maps the boundaries women negotiate with when interacting with public space in Why Loiter. Thank you Nisha for making time to share your work with us!